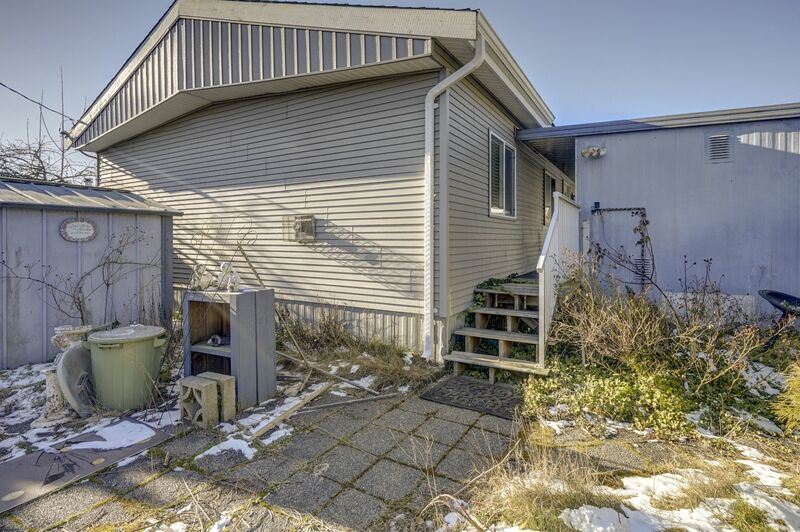 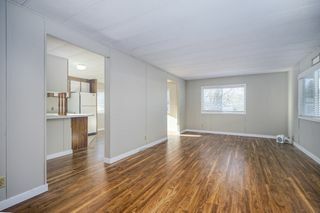 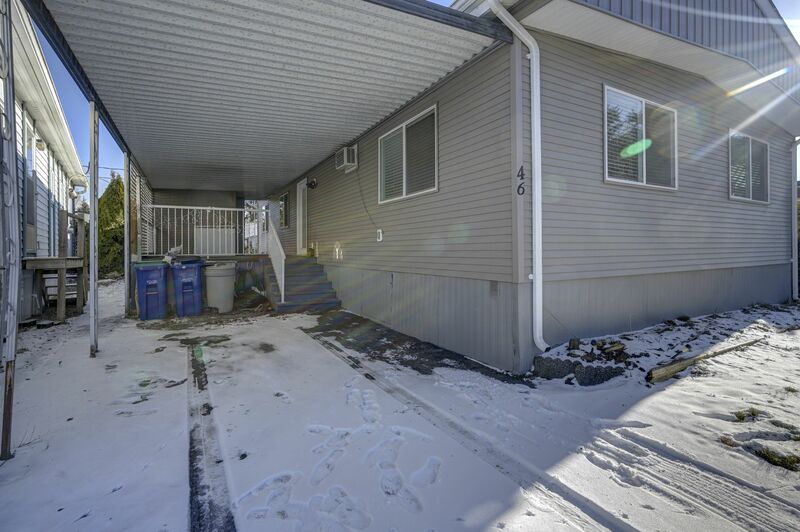 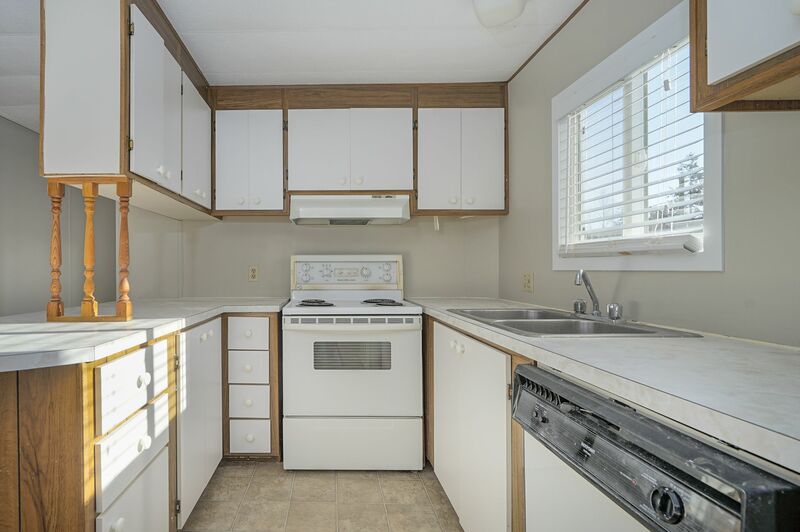 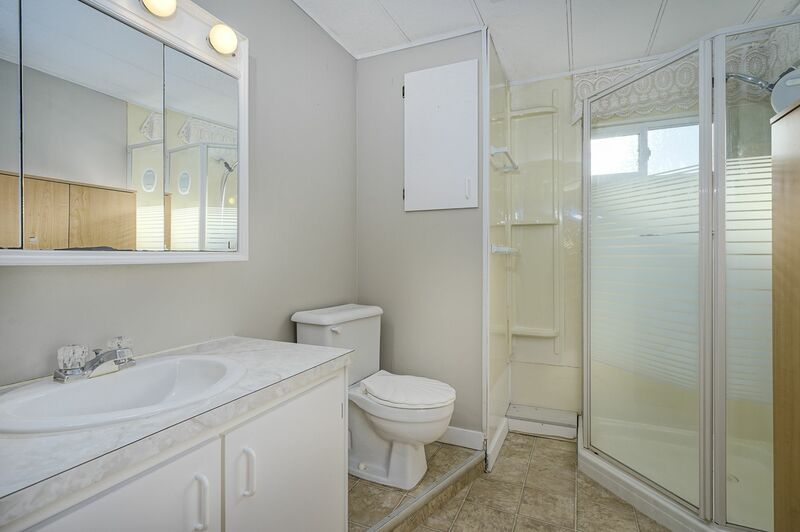 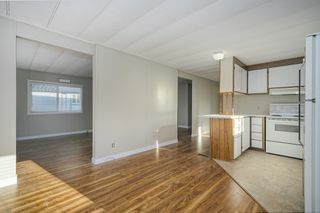 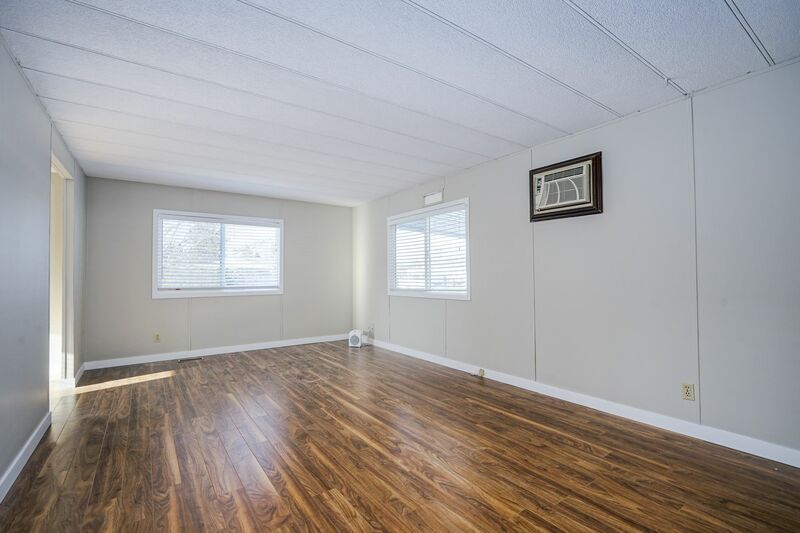 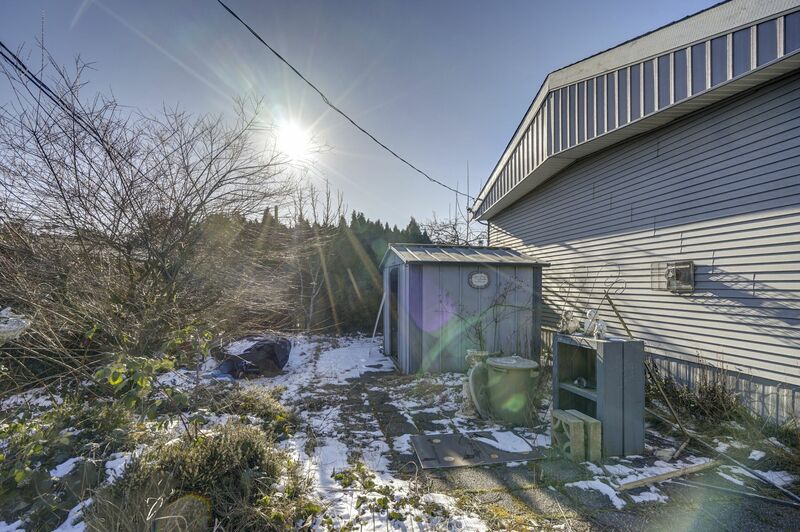 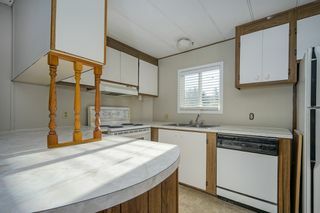 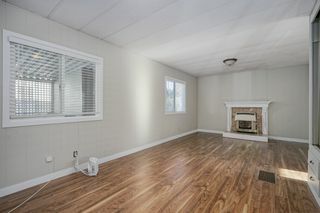 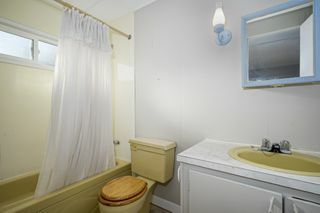 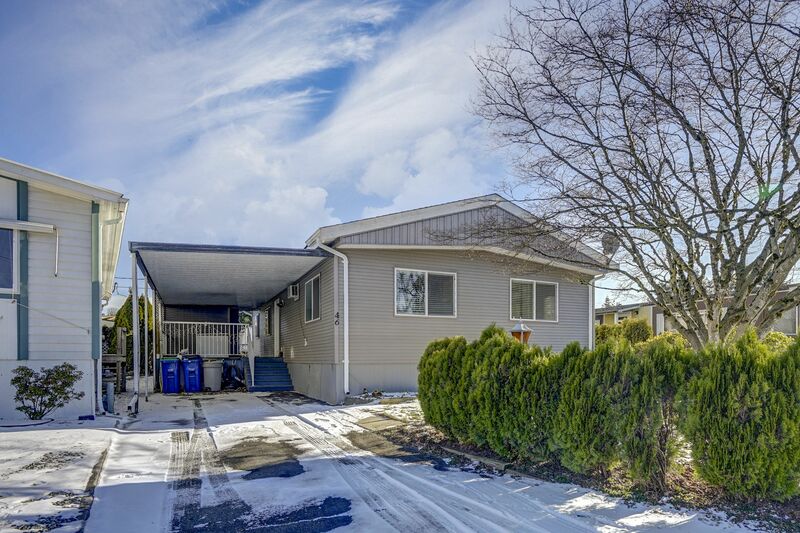 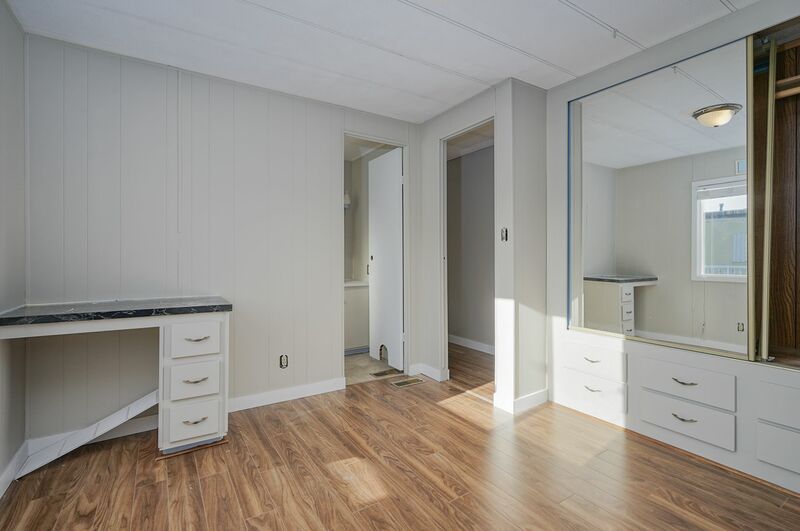 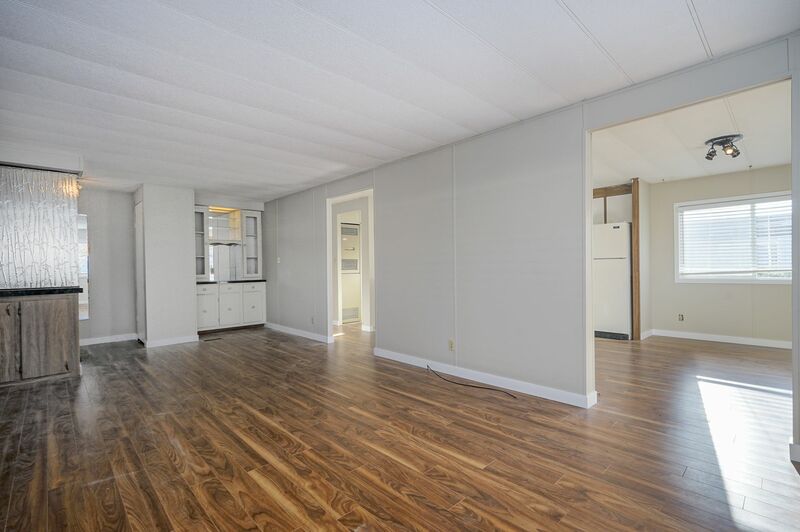 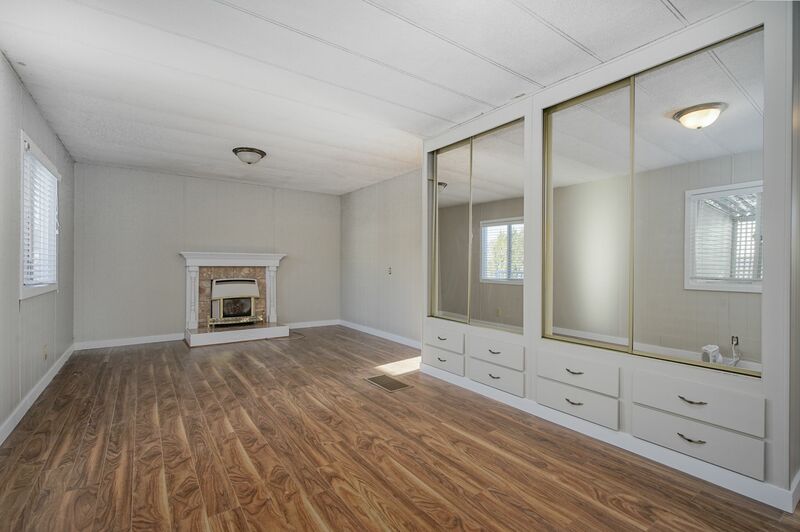 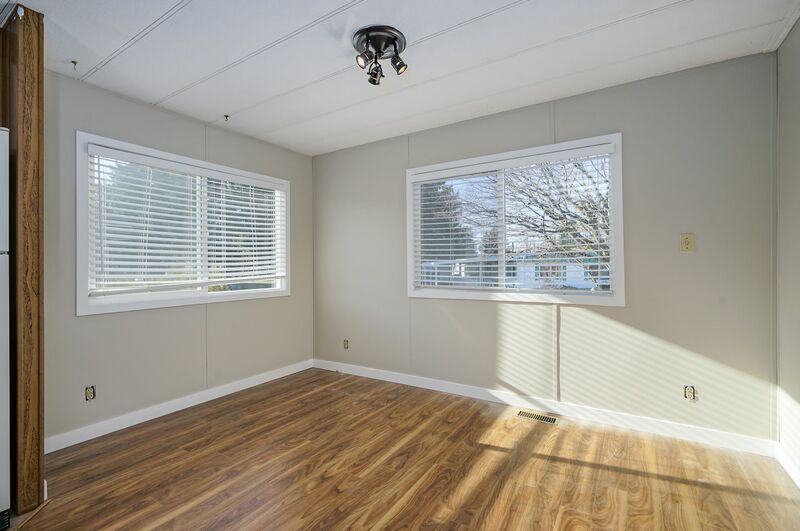 Double wide mobile home on rental pad in popular "Paradise Park", for those 55+ years old. 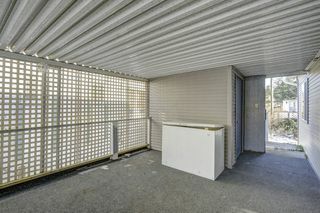 Good location in the park. Huge master bedroom with gas fireplace. 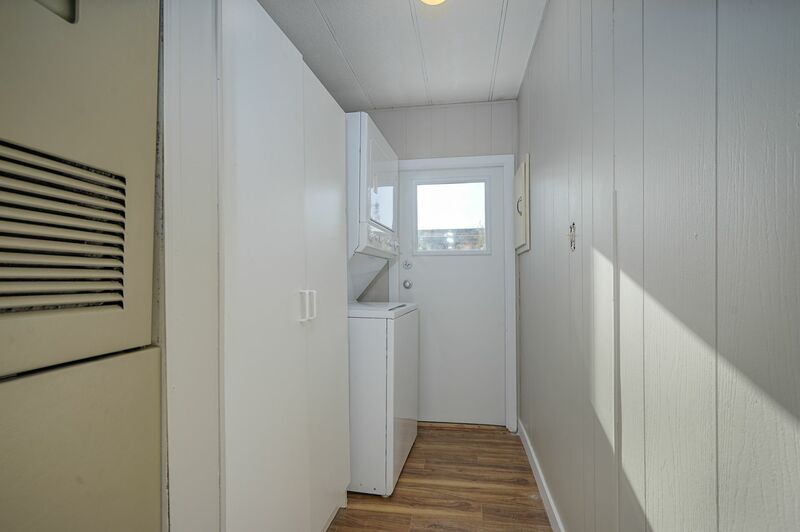 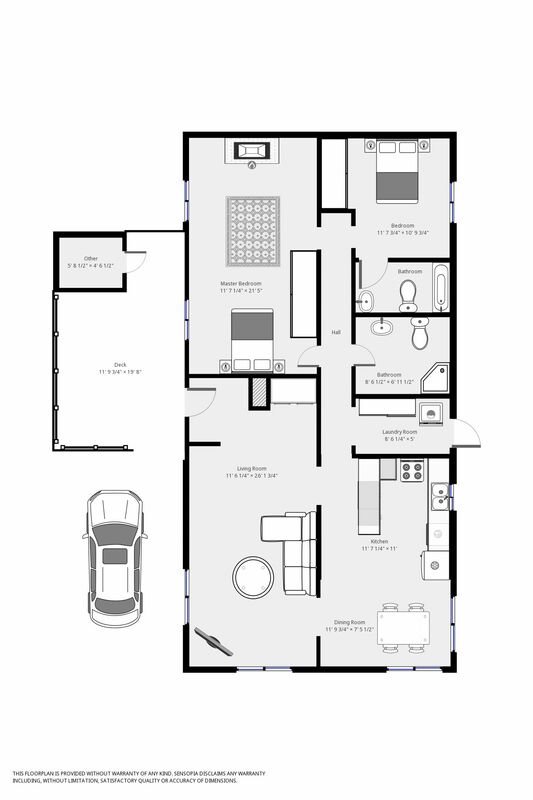 2 full bathrooms, fridge, stove, washer, dryer and dishwasher. 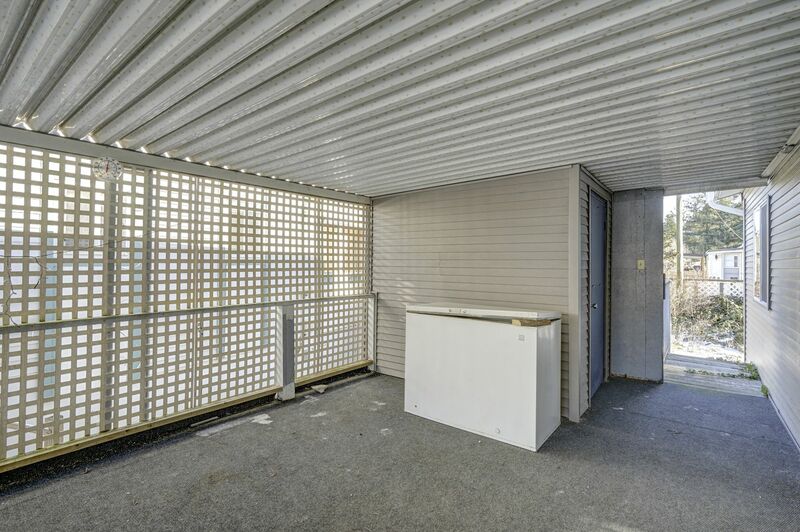 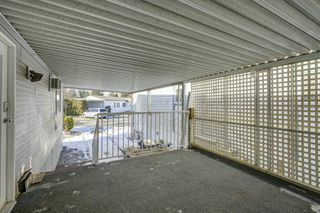 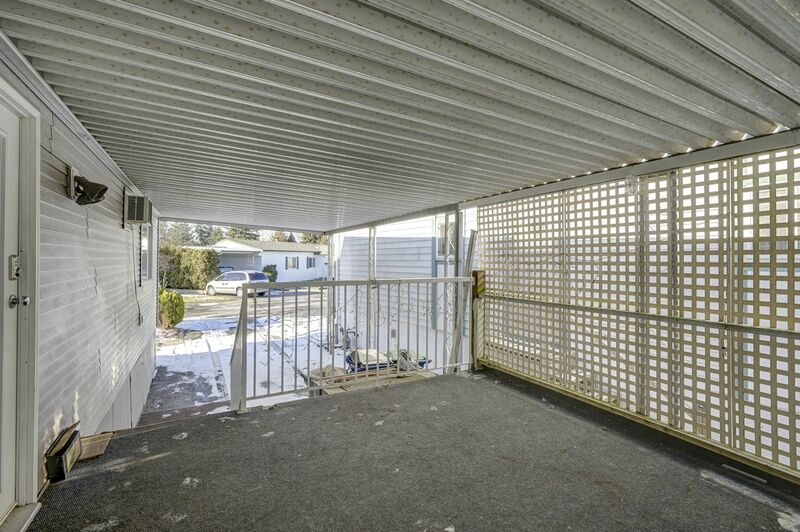 Large covered deck, 2 sheds and single carport. 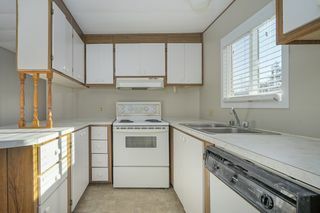 1 small pet allowed. 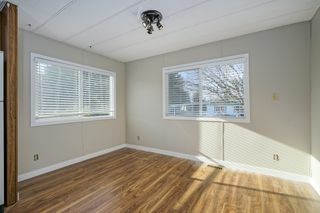 All required park updates have been completed in 2013 and includes roof, flooring, siding, exterior railings & windows. 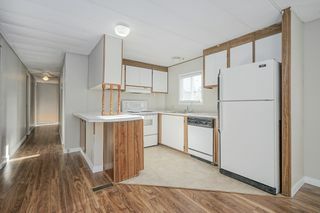 The interior was just painted this January. 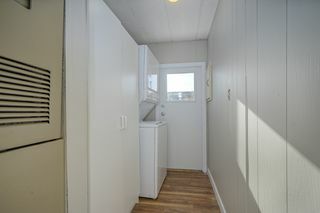 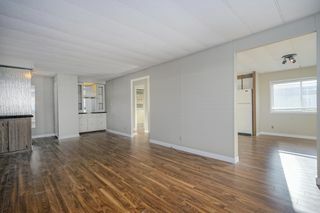 Pad rent $675/month.